Ride, Build, Share and Compete! 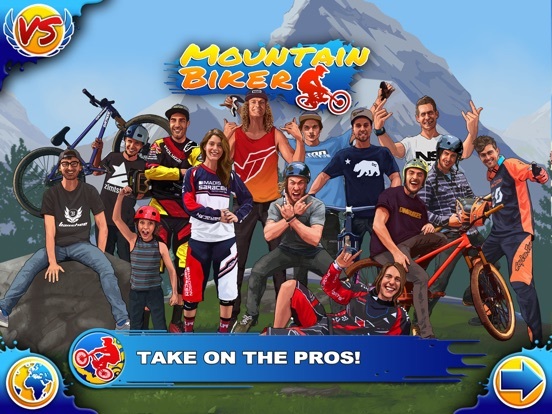 Experience the heart-pounding, insane and adrenaline-packed thrills of Downhill, Freeride and Slopestyle mountain biking as you progress from Novice to Pro Rider in the ultimate Mountain Biking gaming experience. You’ll travel the globe - from Whistler to the Alps - beating Pro Riders, tackling trail challenges, conquering mountains, building trails, upgrading your bikes & components and competing against friends. 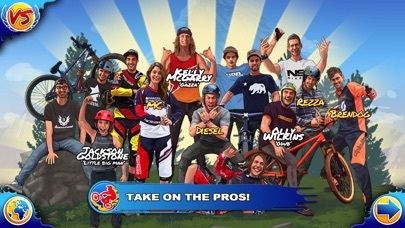 You’ll learn to pump for speed, trick for points and "huck steezy senders" like the pros. With 18 progressively audacious tricks to learn, and a practically infinite range of combos to attempt, you’ll be soaring like an eagle while pulling combos the Pros haven't even dreamed of yet..! 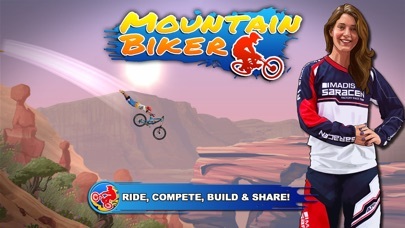 Built from the ground up for iOS as the ultimate touch-based extreme sports game, Mountain Biker has been made by a small team of ex-Electronic Arts employees who previously helped bring you some of the greatest console games ever, including: SSX, Burnout, Need For Speed, Black, NBA Street and many more. Simple to play, hard to master. 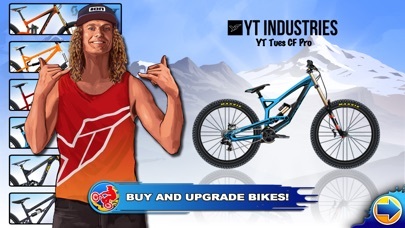 Mountain Biker uses intuitive finger controls to let you easily race downhill with a tap and effortlessly pull tricks with the flick of a finger. 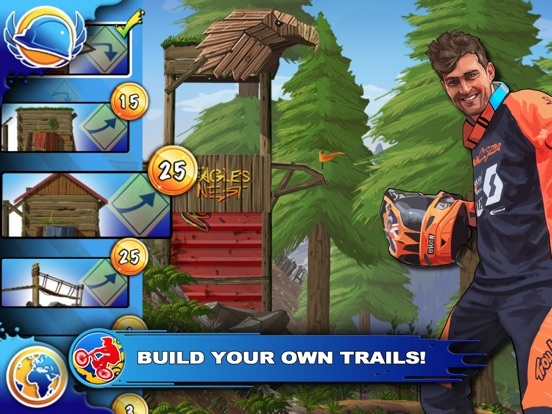 Building trails is as easy as drag-and-drop, and with seamless integration into Game Centre, you’ll be competing against friends, finding new rivals and rising to infamy with crazy scores no-one in the world can grasp how you managed to pull off. Mountain Biking has never been this much fun! - Beat 14 Pro Riders from across the globe: Sam Pilgrim, Brendan Fairclough, Szymon Godziek, Sam Reynolds, Thomas Genon, Jackson Goldstone, Kelly McGarry, Manon Carpenter, Nicholi Rogatkin, Andrew Neethling, Matt Macduff, Olly Wilkins, Katy Curd & Olivier Cuvet. 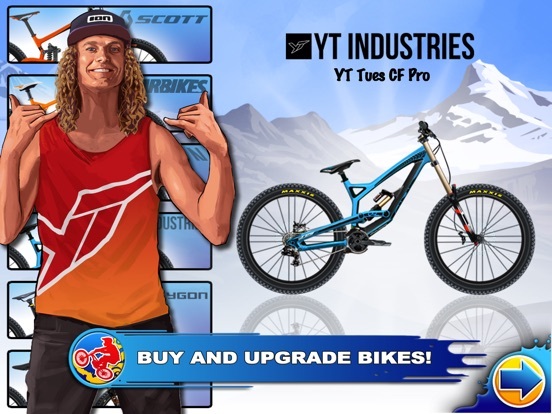 - 7 Authentic Bike Brands: Buy and ride bikes from top manufacturers including Scott, YT Industries, DMR, Canyon, Banshee & Polygon. - 7 Top Component Manufacturers: Upgrade components for increased performance from Spank, Hope, DMR, X-Fusion, Cane Creek, Maxxis & Schwalbe. 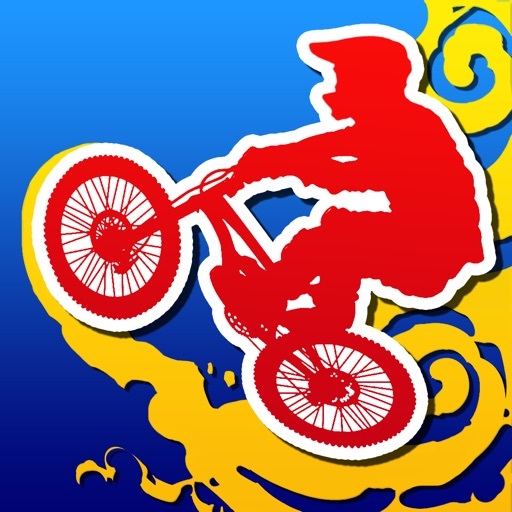 - 18 Tricks: Moto-Whip, No-Hands, Table-Top, Two-Star, Whip, Toboggan, Superman, Cannonball, Backflip, Frontflip, Backflip No-Hands, Frontflip No-Hands, Backflip Superman, Frontflip No-Feet, Backflip Ruler, Frontflip Superman, Backflip Tsunami & Frontflip Flatline! - 3 great Locations: British Columbia, Utah & Alps, with more coming soon. 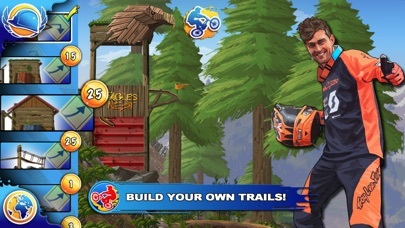 - Trail Builder: Create your own perfect, gnarly and / or challenging trails and share them with the world. 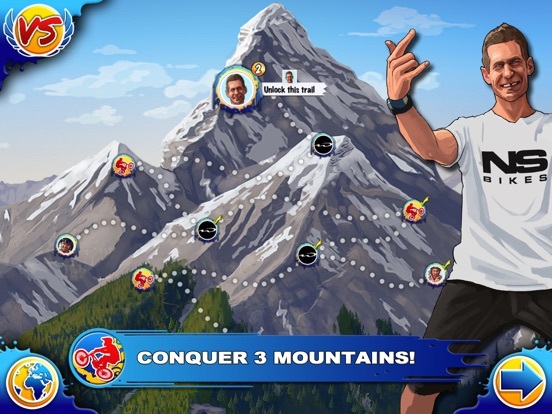 Set your own challenges and see who can beat your trail! 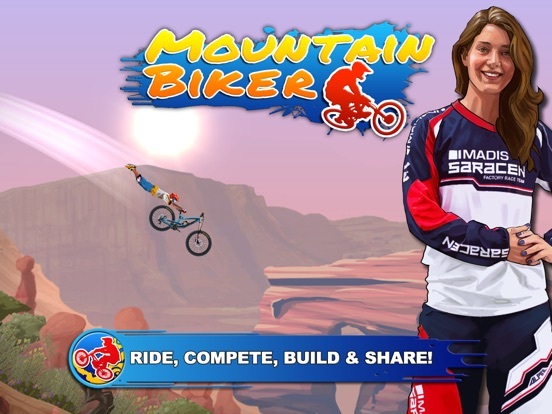 - Seamless Online & Offline Game-Play: Compete with the Pro Riders, your own friends as well as all other Game Centre players with leaderboards for each and every trail in the game - even user-generated trails. 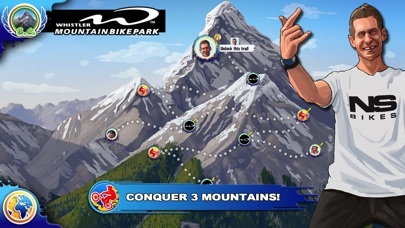 - Hours of Game-Play: Conquer 3 Mountains, beat 14 Pro Riders, beat over 50 offline trails, and tons of achievements just to finish the offline game. Online gameplay is practically infinite as new user-generated trails will be appear daily. - Achievements: Some are easy, some are hard and some are secret!